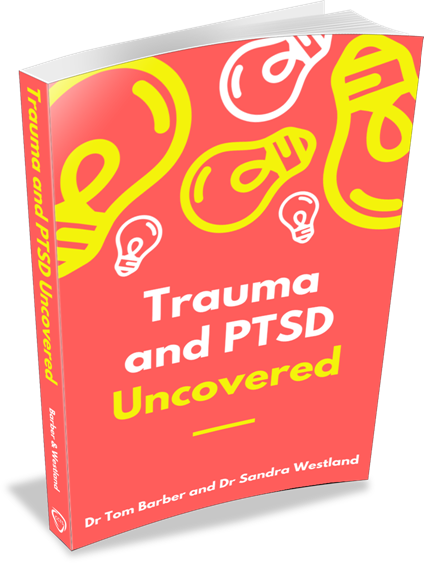 What's in Trauma and PTSD Uncovered? Part 3: What Happens When You Experience a Trauma? What's People are Saying About Trauma and PTSD Uncovered? "Thank you for the free download of your recent book. I read it straight away and enjoyed the easy and open style of your communication. The most valuable thing was that your words helped me to understand that I’m experiencing PTSD. It’s not that I’m looking for a label or diagnosis behind which to hide, but it helped me to see that my experience of hyper vigilance is not “normal” and therefore can be healed. I’ve made it my life’s work to undo all the faulty wiring as a result of childhood trauma which, of course, informs my daily life. I’ve no desire to live as a victim or have a disempowered life, but now I can see the problem clearly, I can set about clearing the faulty patterns and energetic blocks, because that’s all they are. The subtle distinction is the difference between me having a problem and me being a problem. Thank you so very much. It’s truly been a gift and I’m very grateful." "Thank you. I found your book extremely good and informative." "I found it very helpful and easy to understand which I feel as a parent is so important. I had an inside look into PTSD. The book is excellent." "A wonderfully easy and quick guide on trauma and PTSD with really useful explanations and techniques. Very generous of the authors. Thank you, thank you, thank you!"